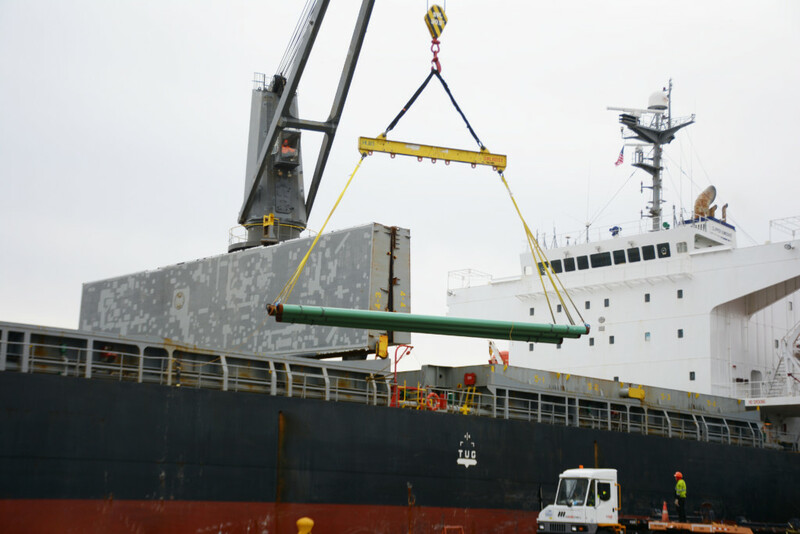 Philadelphia, March 22, 2019 — Last month the M/V Clipper Kamoshio arrived at PhilaPort’s Tioga Marine Terminal carrying 10,996 pipes bound for the Shell Falcon Pipeline located in western Pennsylvania. It took 10 days to discharge the 8,804 metric tons of cargo. 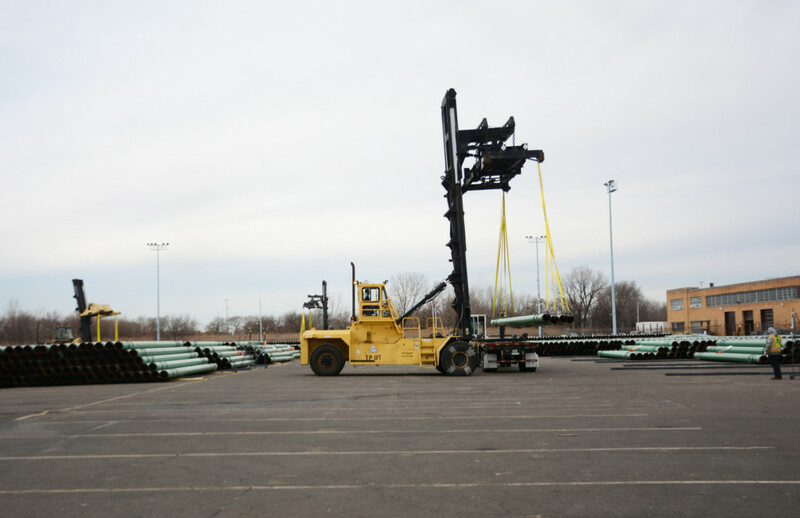 23 pipes per truck are sent westbound each day as construction begins on the Falcon Ethane Pipeline System. The two-leg system will begin in southwestern Pennsylvania and proceed down to West Virginia and eastern Ohio. This is a major project for Shell in the U.S., being one of the first of its kind in the company’s history, feeding Shell’s Marcellus and Utica “cracker” (refinery) plant. Shell has taken extra precaution to exceed minimum environmental safety requirements set forth by the Environmental Protection Agency. The pipeline will be monitored 24/7, with shut-off valves installed every 7.5 miles and monitoring devices inside the pipes. If any issues are suspected, Shell’s protocol is to shut off the pipeline immediately. Additionally, Shell has trained local first responders in all emergency protocols. “Worker, resident, and environmental safety is prioritized throughout the entire process”, as explained by Virginia Sanchez, External Relations Advisor for Shell Midstream Partners LLC. “So often projects that begun on the Port of Philadelphia lead to even more jobs inland”, said Robert Palaima, President of DRS, whose company discharged pipes from the vessel. Robert continues, “In this case 1,000 workers will be hired during the peak of construction”. The pipeline will traverse 3 states, 22 townships, and consist of 97 miles of pipe. It will connect Marcellus and Utica shale deposits to a petrochemical plant that “cracks” or breaks apart ethane molecules to create ethylene and polyethylene as the finished product. The pipeline is expected to be completed in Spring 2020.